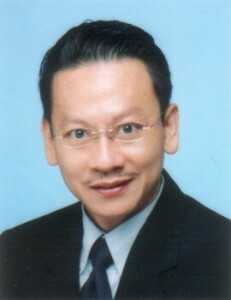 Dr Gwee Bah Hwee is currently in the School of EEE since 1999. He received his BEng (Hons) degree from the University of Aberdeen, UK, in 1990. He received his Master of Engineering and PhD degrees from Nanyang Technological University (NTU), Singapore, in 1992 and 1998 respectively. His research interests include Low Power Asynchronous Microprocessor and Digital Signal Processor Design, Digital Class-D Amplifier Design, Bio-informatics Soft computing and Acoustical Noise Reduction. He is the principal investigator of several local and international grants, including the ASEAN-EU University Network Programme (AUNP) grant, NTU-Panasonic research collaboration, NTU-Linkoping University (Sweden) joint research collaboration and Defence Science and Technology Agency (DSTA) projects. He has filed several patents in circuit design and has 1 US patent granted. He has been an Associate Editor for the IEEE Transactions on Circuits and Systems II and journal of Circuits, Systems and Signal Processing and review committee members for a number of premier conferences, including ISCAS and BioCAS etc. Dr Gwee was the Chairman for IEEE Singapore – Circuits and Systems Chapter in 2005 and 2006. He was the Technical Programme Chair for International Symposium for Integrated Circuits, 2007. He has been the Committee Members of IEEE Circuits and Systems Society DSP, VLSI and Bio-Circuits and Systems Technical Committees since 2004. Dr Gwee is a Senior Member of IEEE. He is currently the IEEE Distinguished Lecturer for Circuits and Systems Society in 2009/2010. 1. K.L. Chang, J.S. Chang, B.H. Gwee, K.S. Chong,. (2013). Synchronous-logic and Asynchronous-logic 8051 Microcontroller Cores for Powering the Internet of Things: A Comparative Study on Dynamic Voltage Scaling and Variation Effects. IEEE Journal on Emerging and Selected Topics in Circuits and Systems, . 2. T. Lin, K.S. Chong, J.S. Chang and B.H. Gwee. (2013). An Ultra-Low Power Asynchronous-Logic In-Situ Self-Adaptive VDD System for Wireless Sensor Networks. IEEE Journal of Solid-State Circuits, 48(2), 573-586. 3. Tong Lin, Kwen-Siong Chong, Joseph S. Chang, and Bah-Hwee Gwee,. (2012). A Robust Asynchronous Approach for Realizing Ultra-Low Power Digital Self-Adaptive VDD Scaling System. IEEE Subthreshold Microelectronics Conference, IEEE SubVt 2012, Waltham, Massachusetts, USA, (pp. 1 – 3). 4. Yiqiong Shi, Bah-Hwee Gwee, Ye Ren, Thet Khaing Phone and Chan Wai Ting,. (2012). Extracting Functional Modules from Flattened Gate-Level Netlist. International Symposium on Communications and Information Technologies (ISCIT’2012), Gold Coast, Australia, (pp. 538 – 543). 5. J. Chen, K.S. Chong, B.H. Gwee and J.S. Chang,. (2012). An Ultra-Dynamic Voltage Scalable (U-DVS) 10T SRAM with bit-interleaving capability. IEEE International Symposium on Circuits and Systems, IEEE ISCAS’2012, Seoul, Korea, (pp. 1835 – 1838).